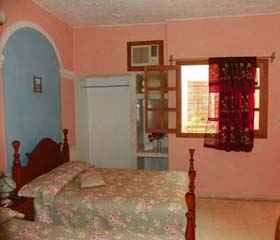 Two double rooms recently renovated and all rooms can be double or triple set if requested by email. The price of the bed extra 7 cuc The room rate is for 1-2 people. Children under 12 sleep free. Maximum 2 children per room. Maximum of people per room is 4. 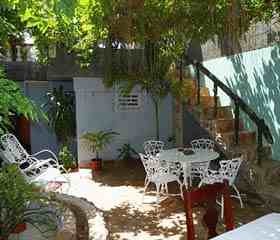 We have a nice patio where you can dine, Cuban coffee break or just seat and enjoy a cool breeze. You will not regret your stay with us. Free local calls. Free information on the best places to visit in Trinidad and the rest of the province information and free advice, if you desire, the best places to by souvenirs, rum, cigars and Cuban coffee. Free information services such as salsa lessons, Spanish lessons, diving lessons, bike rental and local and national tours. Free booking of taxis in Trinidad and beyond, as well as help and advice on local bus services and national. Help and advice for bookings in other hostels, hotels and guest houses on the island. Regular cleaning service. 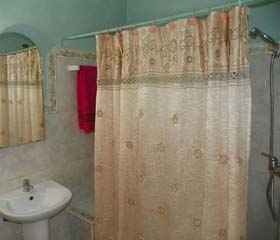 Towels and sheets are included in the price. 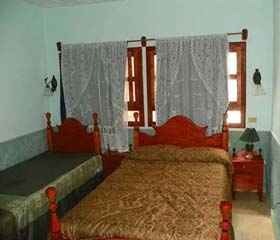 The services of breakfast, dinner and laundry services are offered. Shuttle Service to and from cities such as Havana, bus at the same price and save money on taxis to the bus station and time Most important! 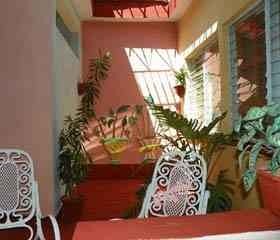 With our service you will save time 2.30 hours trip to Havana. Information on accommodation. 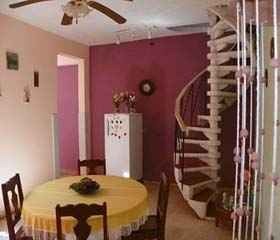 We are just steps from the Casa de la Trova, Trinidad Internet café, Romantic Museum, Museum of Architecture, Museum Brunet, Céspedez Park, the House of Music, Viazul Bus Station, The Canchánchara Bar, Restaurant and Plaza Mayor and Sol Son. The bus to the beach is only 50 meters away. Banks, ATMs and currency exchange offices are also nearby.